This worsted weight yarn is environmentally friendly and naturally soft. Perfect for baby beanies or scarves for a sweetheart. 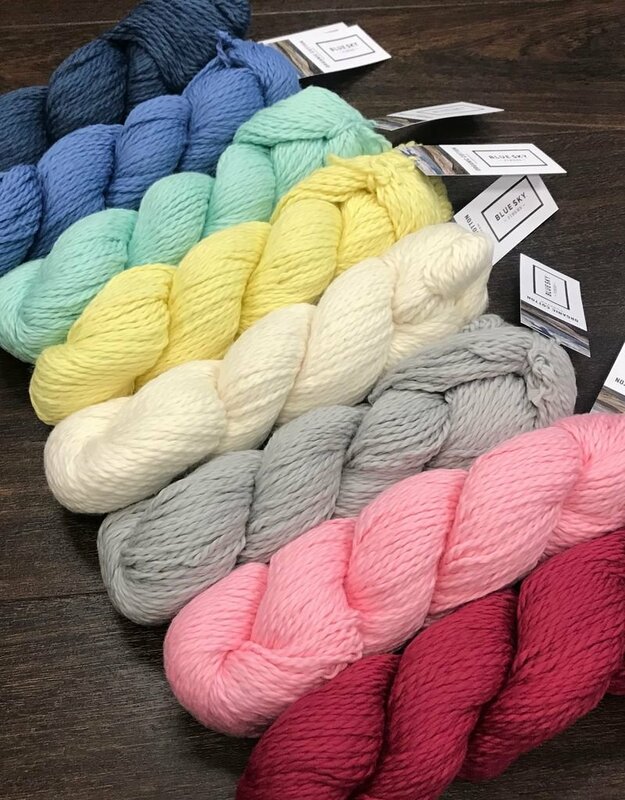 FIBER CONTENT: 100% Certified Organic Cotton WEIGHT: (Solid) 100g / 150yds / 137m (Multi) 67g / 100yds / 91m NEEDLE SIZE: 7-9 US / 4.5-5.5mm GAUGE: 4-5 sts per inch / 2.5cm * Suggested gauge only. Works beautifully with large or small needles. Dry clean or hand wash in tepid water using a mild soap. Do not agitate or twist. Shape and dry flat on a towel.